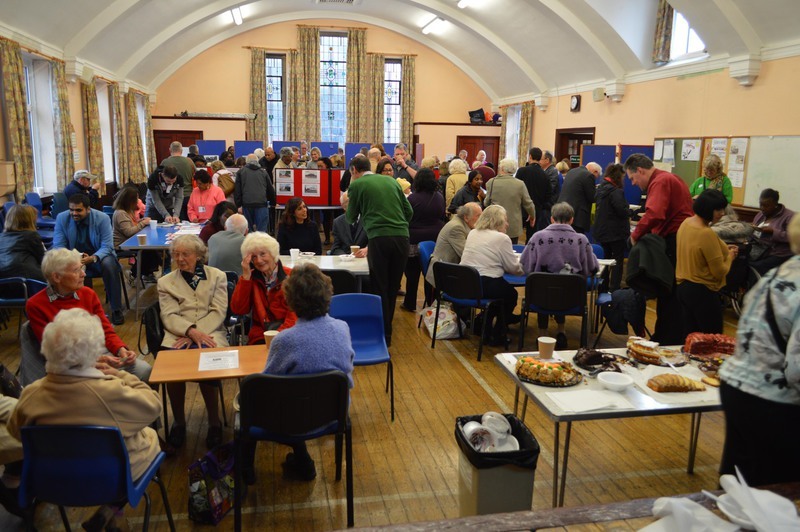 Over four hundred people attended Sudbury Then and Now Exhibition on Saturday 10 October at Sudbury Methodist Church Hall. The exhibition was formally opened by Mrs Anne Lake who was born in the street behind Sudbury Methodist Church. 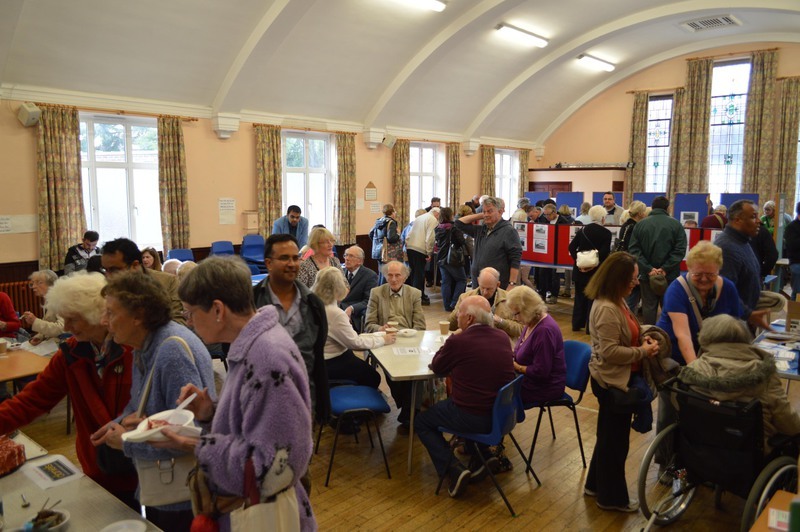 This event was organised by Wembley History Society, Sudbury Town Residents Association, Sudbury Court Residents Association and Friends of Barham Library. Visitors enjoyed the display of old and new photographs and were thrilled to see their own homes and area they were born. Our sincere thanks to Phil Grant who has put an enormous effort to collect the old and new photographs and brought them back to glory. 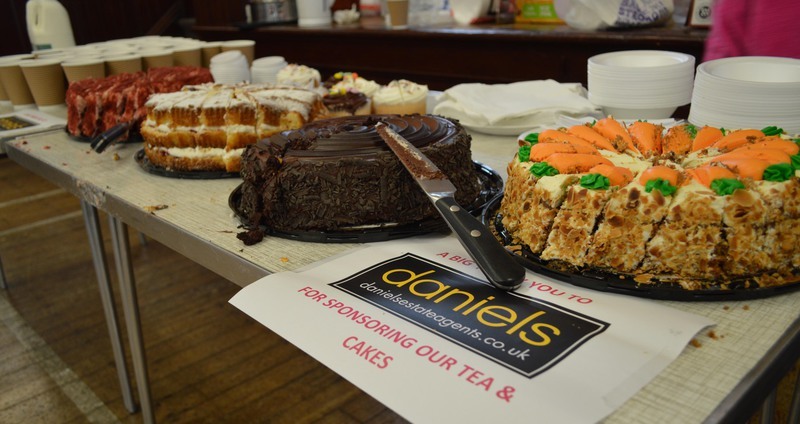 Visitors also enjoyed tea, coffee and cakes generously provided free by Daniels Estate Agents. For those of you who missed the exhibition or wish to review the material again. here it is. Earlier this year, you may have heard about this community local history project at an STRA meeting, or read about it on the website. A number of you, together with members of the Sudbury Court Residents’ Association, “adopted” old photographs or postcards, and have sent me matching colour views of the same scenes today, information about the old images, or both. Two primary schools also got involved, with their Year 5 classes using old photos for their own local history projects in the summer term. Now everything is falling into place, with an exhibition put together by local people for everyone in Sudbury to share, enjoy and discover what an interesting place they live in! At the time of writing, I am still waiting for a few more contributions to come in, but we hope to have at least thirty “then and now” pairs of images, and the stories behind their history, on display. The exhibition is taking place on Saturday 10th October, from 2pm until 5.30pm. It is being held at Sudbury Methodist Church Hall, 809 Harrow Road, opposite Butler’s Green, admission is free and everyone is welcome. I hope that as many of you as possible will come along, with friends or family, to share in this event, and come away with a better appreciation of the special history that is all around us, although perhaps without us realising it was there. More than a dozen Sudbury Court and Sudbury Town residents have already chosen old photographs to use in this community local history project (thank you! ), but there is plenty of time for you to get involved as well, and lots of interesting images from the past which are still available. With the longer days and better weather now with us, why not take the opportunity to “adopt” one, then go out and take a matching modern colour picture of the same view? If you have children, your family could “adopt” one of the old photos of Sudbury’s shopping area which are still available, and find out more about its history as something to do in the half-term break. Or if you want to discover more about your area going back hundreds of years, you could “adopt” one of the pictures taken more than a century ago of Hundred Elms Farm, from which Elms Lane takes its name. The aim of the project is to have all the pairs of “then” and “now” photographs, with brief notes about the history they show, finished by mid-August 2015, ready for a free local exhibition in September. If you are interested in taking part, please email STRA, or Philip Grant of Wembley History Society at: Philgrant69@aol.com . Where-ever we were born, the history of the district which is now our home is something that everyone in our community can share in and enjoy. Old photographs or postcards are a popular way of seeing what places used to look like, but what are the stories behind the changes from those pictures to what we see now? A good way of telling those stories is to match each old photo with a modern view of the same scene. 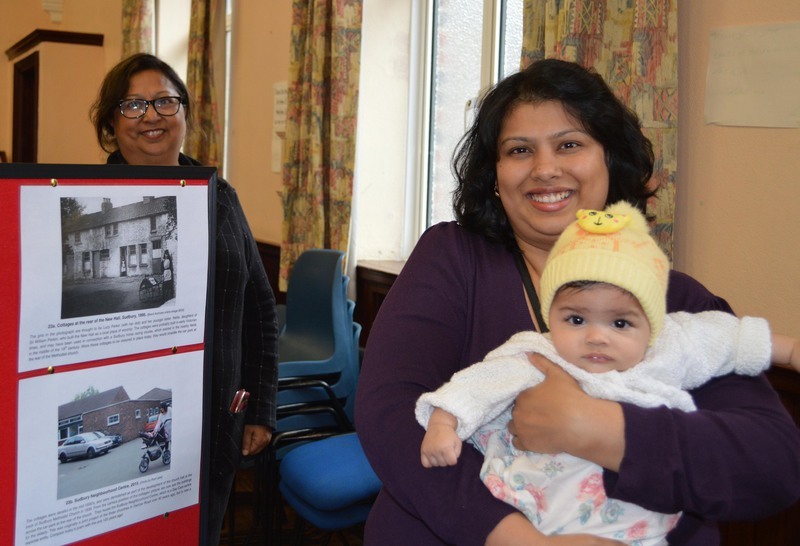 That is what Wembley History Society and Brent Archives would like to do in 2015, working with local people and community groups to produce a “Sudbury –Then and Now” display. We are looking for individuals, families, groups of friends or school classes who would be interested in choosing an old picture of Sudbury from the Archives large digital collection, taking a matching colour view of it now, and writing a short piece about how the location has changed since the original black and white image was taken. Sudbury is lucky to have some strong residents’ associations and community groups, and we look forward to working with them and their members towards preparing a local history exhibition in the autumn that everyone can enjoy. If you are interested in getting involved, please contact: info@stra.org.uk , so that we can start organising the details of this project by March 2015. Thank you. The presentation from the March meeting. Phil Grant's presentation from the march meeting for those that were unable to attend.